Volman Law is the market leader in Connecticut in low-cost residential closing services. Whether you are buying a house for the first time, selling a piece of property, refinancing a home, in need of a title search, or looking for lender representation, place your trust in the Connecticut real estate attorneys at Volman Law. Every year, hundreds of first-time home buyers find their real estate closing and refinancing needs are accomplished with the help of Connecticut real estate attorneys at Volman Law. 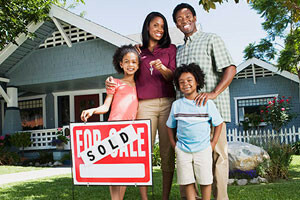 We work throughout the state with buyers, sellers, for-sale-by-owner sellers, realtors, mortgage brokers, and lenders. Our real estate lawyers will assist you in organizing all of the documents required to process your property transaction, while protecting your present and future security. Every document will be prepared by a seasoned paralegal and scrutinized by an attorney specializing in real estate law. Volman Law is approved for closings with most lenders. We welcome the opportunity to assist you with your new home purchase. Contact our residential real estate law firm by e-mail or call (203) 929-7771. Weekend and evening appointments can be accommodated. We’re a small, family-friendly law office. No child care for your important home closing? It’s okay to bring the children to our office. East West Mortgage Company is pleased to highly recommend the David G. Volman, Attorney at Law, L.L.C. David G. Volman, Esq., has been conducting real estate closings for East West Mortgage and Commerce Bank and Trust for the past 10 years. We have found that he possesses the requisite legal, paralegal and support staff necessary to efficiently and professionally close loans and disperse funds, all in a timely manner. I would estimate that during this time he has closed more than 1,000 loans, all in a very professional manner. He has conducted conforming, non-conforming, government, and portfolio loans, many of which are sold on the secondary bond market, and all have been of superior quality in their documentation and closing. In particular, his entire staff has worked well with our staff. And they have been very effective in speaking and writing with East West and our borrowers. He has shown initiative, maturity and professionalism in his daily contact with borrowers, and East West employees. We have continuously increased his role as an attorney for East West Mortgage, and we know that his service has been superior to any of our other professionals who do similar tasks for East West Mortgage. We would highly recommend David G. Volman, Esq. Payment Plans: For your convenience, we are members of Hyatt Legal Plans, ARAG, GE Consumer Finance Legal Plan, Consolidated Legal Services, PC, and Legal Club of America Corporation. We accept Mastercard, Visa, American Express, and Discover.